Mobile friendly websites have increased in importance directly in ratio to the adoption of smart phones and tablet computers. Having a mobile friendly website is seen as essential to anyone to whom SEO or search engine optimisation is an essential part of their marketing strategy. This year (2014) public Internet usage on mobile phones is set to overtake desktop Internet usage and it is only practical to assume that in the very near future, mobile search will overtake desktop search also. Almost 70% of internet users have gone on record as saying that they are more likely to purchase from a website which is mobile friendly and so any company that practices internet marketing is well advised to adopt best responsive web design practices and rapidly make the transition to mobile friendly websites. Well to start off, this website that you’re perusing right now is actually responsive design. If you like to see it in action then just reduce the width and height of your browser window and you should see that almost like magic, the layout adjusts itself to comfortably fit the new browser size. Even if you drag the page until it is as narrow as a mobile phone then it should still be easily readable. When Apple created the iPhone which was really the first mobile device on which it was easy and fun to surf the web, people’s expectations also changed with regard to their surfing experience. Now web surfers expected to be able to browse websites on phones just as easily as they would on a desktop computer. The face of the mobile web had now changed. At first, web design companies began creating an extra different version of a website which would work well on mobile phones but with the advent of touchscreen tablets and small notebook computers, once again a new solution had to be found. That solution was responsive web design. 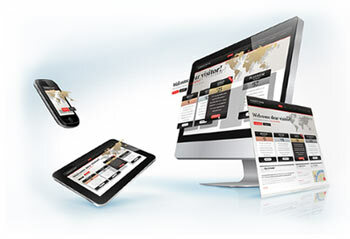 Dark Sea Web Design can build you a fully mobile responsive website which will work well on all platforms whether iPhone, iPad, laptop or desktop.